Boy, I sure hope so. While I don’t doubt everyone at Apple is happy that retail boasted a modest 22 percent profit margin last quarter, the second the company forgets that the stores are not solely about selling computers is when its retail operation becomes a failure. Though I stopped working for Apple in 2009, I still believe that, at its heart, the Apple Store is about caring for its customers, not its cashflow. It’s about the person who’s never even seen a Mac before, walking in and interacting with an iMac. It’s the about the woman who couldn’t turn her computer on when she started coming to the store for workshops, but just walked out with a self-created slideshow movie for her daughter’s wedding. So if John Browett hopes to turn the gravy of the Apple Store’s operations into its sole existence, he’s potentially looking at a catastrophic mistake. Yes, Apple Stores are frequently over-staffed. Some years ago, on the morning of Black Friday (a particularly busy holiday weekend) we had almost 40 employees crowding our small store, regimented and ready to work their sections. For the first hour, it might have been overkill. But once the crowds arrived, we were ready for them. We didn’t let a single customer wander around without making sure they could find what they were looking for. In the day and age of self-checkouts and growing consumer tech awareness, I could see why Browett might think excess staffing was no longer needed. 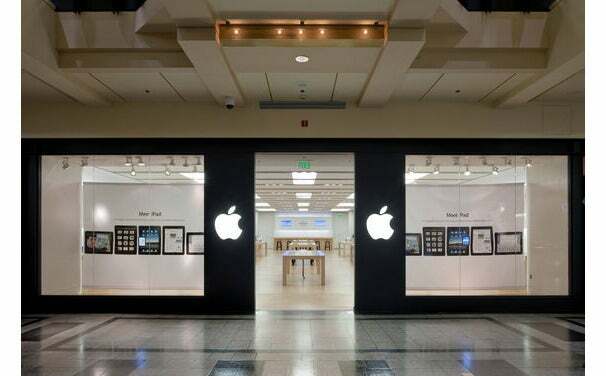 There are plenty of Apple faithful who can get themselves in and out of a store without help from a staff member. But according to the latest quarterly report from Apple, nearly 50 percent of the Apple Store’s customers are still new to the Mac. And until that number starts dropping with any sort of rapidity, those people are who the staff is there to help. The Apple Stores aren’t perfect as-is, and I can understand the new senior vice president of retail wanting to put his own mark on them. But to do that, you have to understand what the Apple Stores are. You can’t cut free workshops and push paid services that will give customers more information: These customers may not even be 100 percent convinced they want a Mac or an iPad in the first place, and to tell them they’ll only be able to get on solid footing if they pay an extra hundred dollars is a good way to say goodbye to not only their business, but that of their friends and family as well. It’s possible the reports are a misunderstanding, and that the changes were indeed, a mistake. It does make sense to pilot potential changes over the summer, wedged as it is between launches of iPads, Macs, and iPhones—and now that we’re gearing up for a probable iPhone release, it’s time to shut those experiments down and get back to doing business. I just hope Browett’s next venture focuses on increasing the quality of the Apple Store, rather than its financials.